I need to add a couple side projects on this home project. 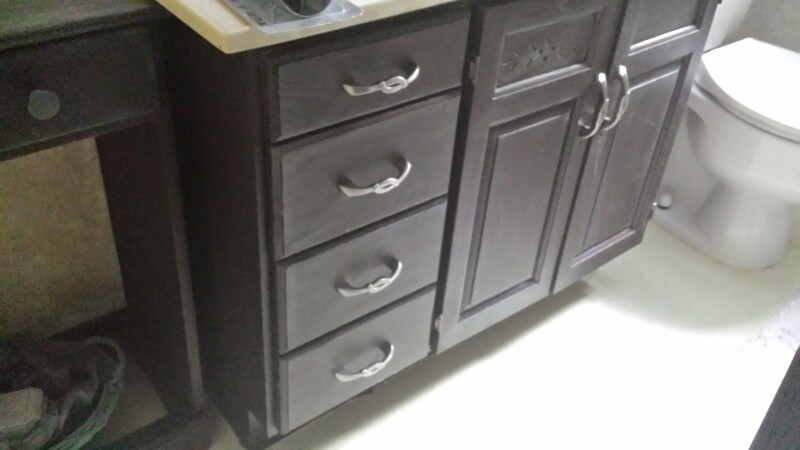 Remember in the bathroom, I was unhappy with the old sink base hardware, but the new hardware came with screws that didn’t fit? This weekend I got the new hardware anyway and found my dad’s bolt cutters in the garage. Result? Screws that fit! I am adding $25 in cost to this room. I can sit back and call it done, thanks to many of the great construction and safety products at SafetyGirl, Discount Safety Gear, and Construction Gear. Additionally, in preparing to start work on the New Room (I’m not sure if I will change the room’s name, or not), I had to get rid of all the furniture I didn’t want. 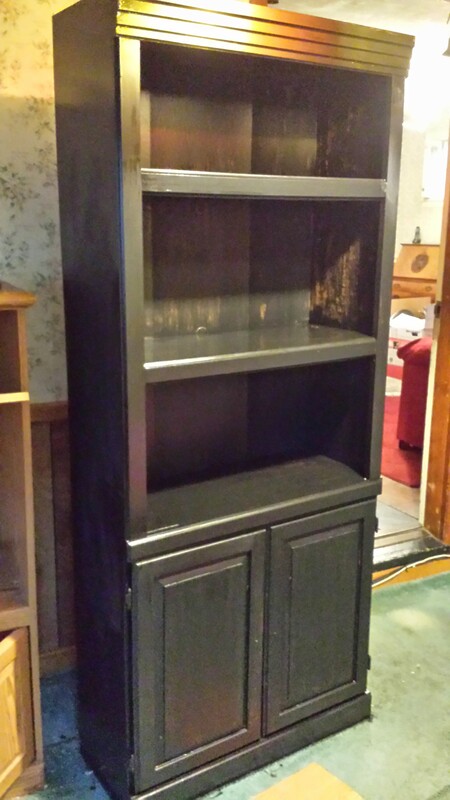 Andy claimed one of the bookcases, and while the gross carpet was still down, I deglossed it and slapped 3 coats of black paint on it for him. He came and got it yesterday and I hope it was dry enough that it didn’t ruin the upholstery in his van. I used the disposable coveralls and gloves that I’ve been using, for this, too. I am finding disposable gloves are indispensable for pretty much everything in the house.